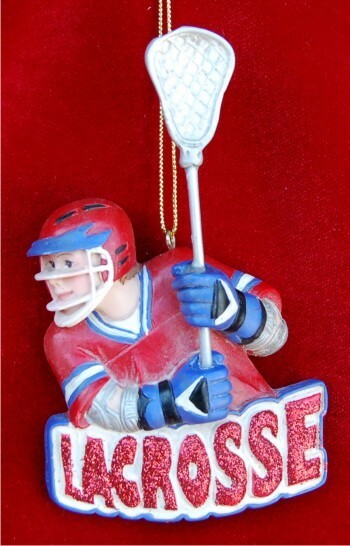 The figure in the lacrosse male personalized Christmas ornament is poised for action and ready to delight a young player. With stick ready to take a pass or defend his zone, this is one of our sports ornaments personalized by our calligraphers with the custom details you provide. The colorful male lacrosse player personalized Christmas ornament is delivered in our handsome velvet sports pouch, a Russell Rhodes exclusive.